After almost four years since Cadillac controversially moved its headquarters to trendy SoHo in New York City, its new boss has decided to move the luxury brand back home to the General Motors headquarters in Detroit. Because you can never, ever, truly leave Mother. The Wall Street Journal reports that new Cadillac boss and longtime GM insider Steve Carlisle wants Cadillac execs and GM’s suburban Detroit-based design and engineering hub to be closer to each other, especially since Cadillac has pledged to roll out a new model every six months until 2020. Ex-Cadillac boss and GM outsider Johan de Nysschen initiated the relocation shortly after he took the reins of the company in 2014. Feathers were ruffled by the move, especially in the Motor City, as Cadillac had always been seen as the crown jewel of GM’s Midwestern heart. Moving it away was seen by many locals as blasphemous. The move was meant to establish a physical departure from GM’s old and stodgy ways, to reinvent Cadillac’s brand image as one of young, urban, luxury-hungry professionals poised at the brink of success. De Nysschen hoped that being in Manhattan would help the brand learn how to attract new buyers. Despite the move, though, Cadillac still employed a whole host of employees based in Michigan—the brand only employed about 110 people at its SoHo office, most of whom were execs or people involved in marketing and communications. But that was the de Nysschen era. Earlier this year, he was pushed out from the company and his post was taken over by Carlisle, a GM veteran of 36 years who previously ran its Canadian operations. Mr. Carlisle said Cadillac’s time in New York helped attract new talent and gave the brand a fresh perspective. He said Cadillac is entering an “acceleration” phase in which the focus is more on new vehicles, rather than the brand-building efforts of recent years. Cadillac House, the company’s trendy retail lounge located on the first floor of its office building, will be kept open after the relocation, according to the Journal. 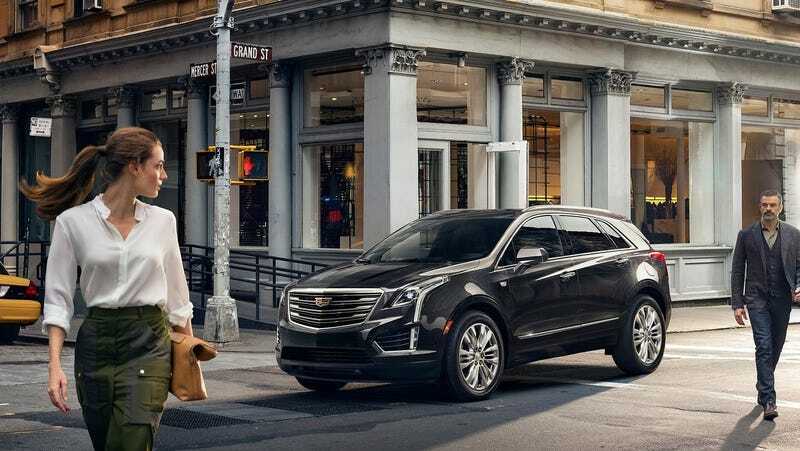 Cadillac’s been going through a rough patch over the past few years as de Nysschen’s push into the luxury world largely didn’t translate to increased sales volumes, and as new sales strategies rankled dealers. More than that, the brand’s sedan-heavy lineup meant it missed out on much of the SUV and crossover craze. They’re working to fix that now with new products like the XT4. Cadillac’s move to Michigan will further support one of the most aggressive on-going product expansions in the brand’s history, with the introduction of a new vehicle every six months through 2020. The move will place the Cadillac brand team closer to those responsible for the new Cadillacs, including design, engineering, purchasing and manufacturing, ensuring full integration of Cadillac’s global growth strategy. Cadillac will maintain a brand presence in New York City with the Cadillac House, an experiential brand center which serves as a public space for events, concerts and collaborative partnerships until longer term brand plans are in place. Expect a lengthy essay about Leaving New York from Cadillac soon, probably on Medium.